The original Legend of Zelda came out in 1986 on the NES. Games were evolving from endurance tests to simple narratives in the Socratic tradition. Having recently stunned the world with Super Mario Bros in 1985, legendary game designer Shigeru Miyamoto set-out to create a game with a world. 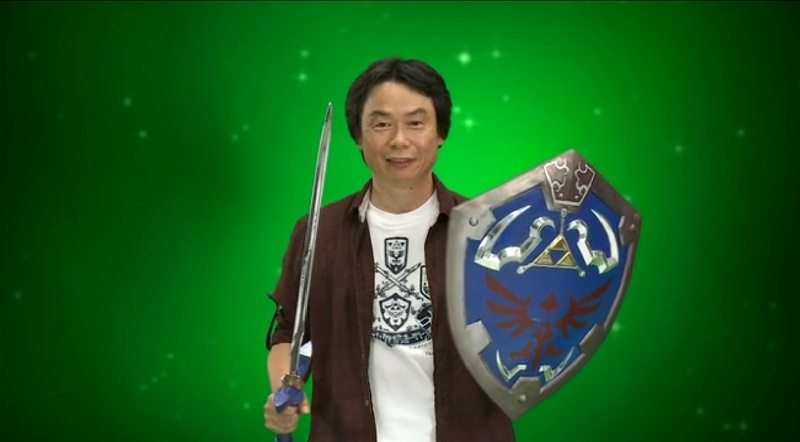 Miyamoto grew up in Japan exploring the fields, woods, and caves of Kyoto. He designed the first Legend of Zelda to be “a miniature garden that players can put inside their drawer.” He combined Peter Pan, Tinker Bell, and the Arthurian legend of the sword in the stone to create what would become one of Nintendo’s greatest franchises. 31 years and over 18 iterations later, Nintendo released The Legend of Zelda: Breath of the Wild for Nintendo Switch to widespread critical acclaim—many publications have declared BOTW to be among the greatest games ever created. Nintendo composer Koji Kondo initially intended to use Maurice Ravel’s Bolero as the theme music for the original Legend of Zelda in 1985, but upon learning the copyright was intact, he composed the legendary “Zelda Theme”. Nintendo has always dedicated a large amount of time and care to the music of Zelda, but with BOTW, they’ve taken things to the next level. Acute Zelda-philes will recognize the integration of electronic and orchestral instrumentation as innovative to the franchise. Music has always been used to give the user feedback regarding the setting— Dungeon Theme, which plays when Link is in a dungeon level. In music, this technique is called a leitmotif: a recurrent theme throughout a musical or literary composition, associated with a particular person, idea, or situation. In BOTW, music is used to delineate location, themes, characters, and even special enemies! While the combat theme plays fighting most baddies, anyone who has played BOTW will recognize the infamous Guardian Theme and of course the Hinox Theme. The first time the player hears these songs come on, it is scary and immediately invests you with a bombastic sense of imminent danger. Music changes by location and by time of day, as demonstrated by the Gerudo Town Day and Night songs. Shards of stories are told through musical sequences sung by Kass, dispersing exposition about the world and clues to the puzzles the user must solve. All told, The Legend of Zelda Soundtrack has about 211 songs! Dedicated players can easily invest hundreds of hours into an open-world RPG, so diversifying the music is vital to keeping players engaged and preventing the game from feeling repetitive. Big, sweeping orchestral soundtracks like these are saving symphony orchestras, according to the Wall Street Journal. Longtime composer and sound supervisor Hajime Wakai oversaw the sound of BOTW. While audio cues for sound effects in the Zelda series traditionally have had a very lo-fi electronic feel, BOTW uses fully orchestrated, live-performed instruments, investing the user with the feeling of watching a live performance. Wakai recorded over 10,000 different sounds for the game. 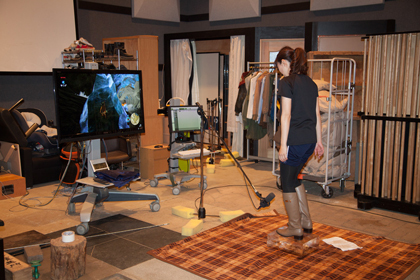 In the Nintendo blog, he explains the many different types of footsteps. Perhaps the biggest departure from the Zelda series is the use of voices. While Zelda games traditionally only represents dialogue with text and strange grunts, BOTW includes cut-scenes with fully-voiced Zelda, Daruth the Goron, Mipha the Zora, and more. BOTW incentivizes accruing these cut scenes or “Shattered Memories” by having them be collectable. Only after collecting all of the “Shattered Memories” can the user watch the story of the game in full from front to back. Given the grand scale of BOTW, it’s no surprise that the game overdelivers when it comes to its soundscape. Nintendo’s first major entry into the Zelda series in 6 years is a masterpiece. Game designers take note of what is perhaps the best sound design ever created for a video game. As app developers, retaining an adept understanding of the marketing side of the business is of the utmost importance. An improperly promoted app, whether it’s good or not, will falter in the 6 million apps in app stores. Some larger companies can afford to outsource this work. Independent developers and companies developing apps for clients must have the knowledge to guide projects from development through release regardless of their expected level of involvement in enacting a release strategy. When developing your app, take into consideration our overview of app promotion strategies and best practices. App Store Optimization is the bread and butter of all app marketing efforts. App stores are the largest driver of downloads for the vast majority of apps. When enacted properly, ASO will drive tens, hundreds, or even thousands of daily downloads from app stores depending on the search traffic of the keywords. Experienced developers create ASO strategies before they begin the programming process. Selecting keywords is the first and most important process of ASO. Searches in the app store are typed out with thumbs rather than a full keyboard, thus thinking of key shorthand terms is vital to improving search rankings. Developers must evaluate the amount of search traffic for each keyword and how competitive that search traffic is. Pursuing high traffic search terms can backfire because apps can falter against the high level of competition. Developers should continually refine their keywords and have a strategy ready for when their apps improve in search rankings. Over time, apps grow stronger in app store search and can eventually rank for more competitive keywords. It’s vital for developers to constantly refine their ASO strategies and build toward more competitive search terms. Many companies create one strategy for when their apps are first entering the store and a separate strategy for when they improve in ASO strength and can compete with higher volume search terms. ASO does not end with the release. Engagement signals like retention, number times people open the app, and length of usage increase app store rankings. Developers must constantly be working toward improving the UI of their apps, as retention will boost ASO. While paid advertising, specifically social media ads, can be a major driver of app downloads, it’s important to understand where paid advertising factors into the equation. Before enacting paid ads, developers should have established a proven revenue model and overall business model. How much revenue an app generates per download will dictate the paid advertising budget. Without a model for revenue per download, app promotion can quickly become too expensive to maintain and end up in the red. A soft launch is when developers make their app available in app stores without any promotional push. The small set of users you acquire through a soft launch can act as an initial beta user group that will inform your understanding of how consumers are using your app. App developers often come to realize a major disconnect between why they think their app is good versus the opinion of their users. Experienced developers make the most of their analytics and continuously dedicate resources to the iterative process of improving their apps. While cross-promotion is a popular tactic, it’s also one that can backfire. App developers find partners with relevant but separate audiences and promote traffic to one another’s pages or content. The key to cross-promotion is finding a partner with an audience that is going to give an equivalent amount of exposure. The potential pitfall is that when users redirect out of the app, it reduces retention, ultimately damaging ASO. Rather than partner with another app or company, some developers elect to develop feeder games and alternate apps which cross-promote to one another, maximizing downloads without detracting from outside marketing efforts. Many app developers promote their apps through their website with Google SEO, social media, content marketing & more. While some apps treat their website as a landing page with a large download button, there is much more that can be done. For example, hosting Youtube content or a blog on your site will draw users in to your brand and retain them on the web page. Enacting SEO for your app store URL can be even more effective than for your website. App Store URLs can outrank websites in SEO because of the authoritative domain of iTunes and Google Play. While effective ASO and app promotion can be done on a relatively low budget, app promotion doesn’t have to begin and end on the tech side of things. Many developers make a point of developing their public persona through social media and external publicity in order to foster an audience to whom they can later market their products. Ultimately, the road to success is not smooth, but bumpy. With the right mix of expert development, continuous maintenance, vigilance and dedication, an app can break through the sea of competition and become a profitable enterprise. Emojis have become a staple of text communication in the 21st century. According to Digiday, over 6 billion emoji messages are sent per day. iMessage, Facebook Messenger, GChat, Snapchat & more have all integrated unique emojis into their platforms. Where there is popularity, there is money to be made. An Emoji is defined as a small digital image or icon used to express an idea, emotion, etc., in electronic communication. Emojis evolved from emoticons, which are pictorial representations of a facial expression using ONLY punctuation marks, numbers and letters. The first intentional use of an emoticon has multiple origins depending on your source. In 1857, historians documented the use of the number 73 to express love and kisses in Morse code. Some credit a New York Times article covering an Abraham Lincoln speech in 1862 with introducing the phenomenon. The first documented use of “:-)” and “:-(” overtly to express emotion was in 1982 at Carnegie Mellon. As online chat became popular, so did the use of emoticons. In an era of computer-mediated communication, emoticons help communicate nonverbal cues in digital threads. From emoticons, emojis emerged, eschewing the punctuation and using images to directly convey emotion. The first emoji was created in 1998 or 1999 in Japan by Shigetaka Kurita. Emoji was first integrated with iMessage in iOS 5. Snapchat recently bought BitMoji for $100 million. Messaging apps like Facebook Messenger and G-Chat are all following WeChat’s lead in creating their own visual keyboards. iOS 10’s iMessage App Store pushes stickers, opening up a new visual possibilities for app developers and advertising. DOWNLOAD FEE: Some emoji companies sell their apps with a download fee. For a flat rate of $1.99, the user receives access to all emojis. Most users will find it hard to justify paying for an emoji app unless they have a pre-existing relationship with the brand, thus this technique is best for major brands like Kimoji, Amber Rose’s MuvaMoji, the newly released Mike Tyson emojis, etc. EMOJI PACKS/PREMIUM CONTENT: A more popular monetization method than a download fee is the individual pricing of emoji packs and premium content. Both paid and freemium apps can enact this monetization method. A company may offer one emoji keyboard for free with download of the app, then offer premium content, potentially sponsored by another brand, for a fee. Emoji> is among the top purveyors of this strategy. BRANDED CONTENT: Perhaps the most effective monetization method for emojis is branded emojis and stickers. Fortune recently profiled a start-up named Swyft that generates revenue creating branded emojis & sticker packs. A sticker pack they created for Gwen Stefani’s album Spark the Fire was downloaded almost a million times and resulted in 41 million impressions in 10 days. App developers looking to push their own emoji packs can generate revenue with branded partnerships after establishing popularity. BitMoji built up an audience over time with a seemingly endless keyboard of expressions. Upon attaining popularity, BitMoji was able to acquire tons of sponsored sticker packs to generate revenue. BitMoji’s success led to Snapchat’s decision acquire BitMoji and integrate an established brand rather than create their own unique emojis. RETENTION: In order to build an audience and monetize, emoji keyboards must retain their users. Ads aren’t a popular monetization method for emojis since users like their digital conversations ad-free. Animated Emoji Pro integrated games into their app in order to increase user retention and ascend in ASO rankings. Users get lost BitMoji’s vast selection of icons, increasing usage time. LOCALIZATION: Localization is another major way of enhancing retention on an emoji keyboard. A study by SwiftKey found radically different patterns of emoji usage depending on geographic location. Creatively utilizing geolocation services to localize the user experience for an emoji keyboard can be a vital tool in building and retaining a national or even global audience. Succeeding with an emoji app requires innovative thinking, attention-to-detail, marketing & careful consideration of audience. Like TV, print, & web messaging, well-crafted emojis require good creative, and meaningful visuals that convey emotion. With 45 billion messages sent per day in the US alone, there is great potential for a well-crafted emoji app to become profitable business with the right combination of concept, execution, and an experienced app developer. A recent study by Venture Beat showed that less than 1% of mobile game players contribute 48% of total revenue to game publishers. Inability to effectively capitalize upon this hyper-concentrated group of revenue drivers leaves many mobile game developers in the red. The rise of the Freemium model has essentially killed the paid gaming app, leaving many developers scratching their heads on how to turn a profit out of their passion. Without a price to download, app publishers can no longer rely on a single method of monetization. Thus segmentation, the division of profit streams, is key to any mobile game monetization plan. App monetization revenues stem from three major categories: in-app purchases, subscription-based premium upgrades, and ad revenue. Highly-successful games can also bring in money through sponsorships, merchandise, and even big-budget Hollywood movies, but the bulk of app developers generate revenue from inside the phone. Experienced mobile game developers use their understanding of each of these revenue streams and how they relate to their target audience to leverage multiple revenue streams within their games. Ads and in-app purchases are both great assets to mobile game developers looking to monetize, but what if you could play them off each other to increase both sources of revenue? That’s the idea behind the rewarded ad format. In exchange for watching full ads during breaks in gameplay, users receive in-game rewards, power-ups, lives, etc. The incentive increases video completion rate, as well as ad revenue, and preview premium features to entice more in-app purchases. While the rewarded ad format can lead to a surge in both in-app purchases and ad revenue, it still requires strategy. Keeping the audience in mind by ensuring the user base will find the content of the ad interesting will increase completion rate. Strategic rewarded ad placement is also key to keeping users engaged. Rewarded ad overkill will alienate users and prevent them from playing the game. For more tips on rewarded ads, check out this awesome article by InMobi. The popular Freemium monetization method entails developers offering a free download of the most basic form of the app to entice the user, then premium services and features available for purchase or through a subscription fee. The Freemium model drives revenue through in-app purchases, premium features available through subscription fees, and ads. Apps like Tinder and Candy Crush have capitalized on their massive user base by enticing users to make in-app purchases and update to premium accounts. Candy Crush also uses social media to allow users to receive premium features in exchange for sharing with their friends. Native ads are advertisements designed to match the form and function of their surroundings. Twitter, Facebook, Google, and Instagram all offer native ads and tools to help developers create and customize their ads. Native ad placement increases the chance of engagement by seamlessly blending the design of the ad in with the UI of the app. While many ads stand out in the context of a mobile app, native ads look like they are a part of the app rather than an advertisement. Some say native ads are unethical and deceptive, while others praise the improved customer targeting and enhanced content. Effective native ads blend seamlessly with the surrounding UI. The number one rule of native ads is to know your audience. If the developer can incorporate relevant content rather than ads for products that do not interest the user, native ads can appear to become more of an enhancement than an interruption. Feeder apps are simple games with addicting gameplay which app developers utilize to spread brand awareness. Feeder apps often feature such simple gameplay, in-app purchases and ads would feel intrusive. Instead, push notifications and links in the main menu redirect users to their company website or another one of their games in iTunes. Many mobile development companies develop a network of feeder apps as a part of their publication and monetization strategy. By utilizing a well-integrated native ad for the company or game the developer intends to monetize, developers can turn viral feeder apps into profits. This comprehensive article by Scientific Revenue offers a great example of how feeder apps can function effectively. ZeptoLab cross-promotes their featured app King of Thieves through their feeder app Cut the Rope. Succeeding in the world of mobile gaming requires the same intense flare for competition which fuels mobile gamers. Experienced game developers know the stakes and come out swinging, ready to capitalize on every strategy they can to create a revenue stream. With the right combination of smarts, app development, promotion and strategy, mobile game developers can capitalize on their user base to rake in the big bucks. Due to the budgetary, software and hardware limitations of mobile games, developers must hook audiences with a well-built game incorporating layers of psychological strategy. The core of any mobile game is the Core Loop. The Core Loop is the main facet of gameplay. It’s the beating heart upon which all progress is precipitated. In sports games, it’s the matches. In Angry Birds, it’s launching the birds to destroy the pigs. In Candy Crush, it’s the levels. The Core Loop is the obstacle that users willingly take on with the intention of overcoming in exchange for a feeling of accomplishment. While retention techniques can reinforce that feeling and can add to the experience, no game can survive a poor Core Loop. In some cases, a great Core Loop doesn’t need any sort of extravagant retention technique. Flappy Bird, which took 3 hours to make, can accrue $50,000 a day in ad revenue purely off the Core Loop. A good Core Loop for a mobile game generally entails a simple, enjoyable, repetitive action which triggers a reward when executed properly. This reward is something in-game which triggers a dopamine rush for the user. The rewards can be anything from gaining points, getting lives, advancing levels, power-ups, unlocking characters and items, and so forth. These rewards are tiered and the dopamine rush should vary depending on the level of accomplishment. For instance, the main action of Fruit Ninja is slicing fruit. Slicing one fruit triggers a dopamine rush, but clearing a level of fruit triggers a larger dopamine rush, and getting on the high score list triggers yet a larger one, etc. Retention tactics can dictate how these rushes are tiered, but the action which produces the rush is the most important thing: the Core Loop. Rule number one of the Core Loop for mobile games is to actually loop. After one loop completes, another loop begins. The user completes a level and begins at the next level with their score intact, or they fail to complete the level and begin at the start of the same level with their score reset. Even rewards apps for retail stores rely on Core Loop to hook users. Console games are monetized through retail, so they can craft larger budget, more intimate single-player experiences, but mobile games are generally monetized through the Freemium model, which means ad-revenues will make up the bulk of their profits. Ads come at the end of the Core Loop, so the more loops per user, the better. Thus, mobile developers generally invest in simple but rewarding, well-crafted, repetitive gameplay systems. While a Core Loop must loop, it also must instill a sense of progression. If the user doesn’t feel like they’re making progress, they will likely quit. Users want the satisfaction of accomplishment, and both satisfaction and accomplishment require a sense of finality. Arcade games are popular on mobile devices because they thrive on repetition. Level 2 of Pac-Man is not much different from Level 1, but it is different, and that minor difference instills a sense of progression; the sense that a new challenge must be conquered with skills accrued in past gameplay experience. Memories unconsciously become technique. In games like the aforementioned Flappy Bird, the goal is simply to get a high score. 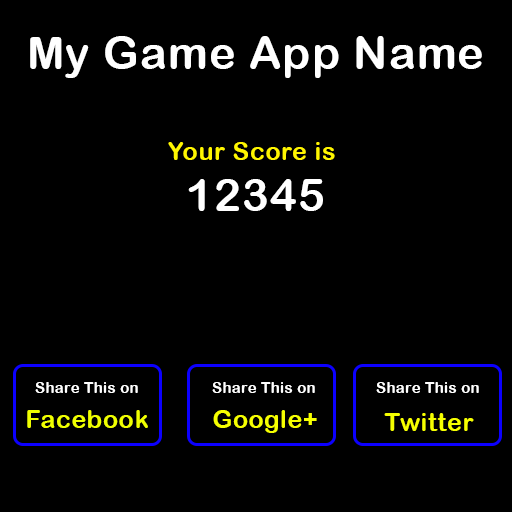 There are no levels, but a sense of progression is still built purely through how one’s high score builds. If the high score weren’t displayed, Flappy Bird would still have a Core Loop, but nobody would play it since one couldn’t measure one’s progress. It wouldn’t feel like a game. The beauty of high scores is they represent a single player game with a social release, which is also great for social media promotion. Session length is a vital aspect of the Core Loop. The Starbucks Test entails that the user should be able to have a meaningful experience with the game in the time it takes the barista to make them coffee. 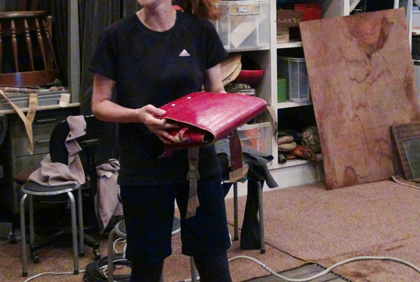 A concise session length will get users coming back often in the empty pockets of their day. The Dual Loop is an advanced game development technique that can deeply enhance gameplay. At the end of the first loop, the Dual Loop technique offers the user the option to stop their session and enter into a mini-loop which enhances the next loop, which is a continuation of the first. When you play Clash of Clans, you can battle, which is the main loop, but you can also collect resources or build and train your army in between battles. The dual allows the user to add quick 30-second interactions which pass the Starbucks Test and increase their investment in the competition. One of the best ways to enhance your ability to develop a Core Loop is to play and analyze other games. A well-designed Core Loop can lead to mobile gaming success on minimal budgets, and massive success on larger budgets. In the Freemium era, retention is perhaps the most important measurement of a mobile game’s success. While console games are sold in boxes, rely on marketing, and profit primarily from sales (in addition to ongoing online content/purchases), the bulk of mobile games are free and must begin generating revenue after they have been installed. In-app purchases and advertising revenues make up the vast majority of revenue. The average in-app purchase is made 12 days after first launching an app. During that time the user is likely generating revenue primarily through in-game advertising. The great FTP (Free-To-Play) game monetization expert Nicholas Lovell (a consultant on Angry Birds Go—the very first FTP game from the conception on) breaks down the FTP game design process into a pyramid of three games which play off of each other: Core Loop, Retention, and Superfan games. CORE LOOP: The Core Loop is active gameplay: playing matches in Madden, clearing a level in Candy Crush, catching a Pokemon and battling in Pokemon GO. The Core Loop is the heart of the game. Without an engaging Core Loop, a game has nothing on which to build. RETENTION: The Retention Game revolves around the Core Loop and is everything that instills the user with a sense of progression toward an overarching goal to keep them coming back. It is the scoring mechanisms, the levels, the mechanics which establish progression (commonly the game maps), the narrative in Single Player games like Grand Theft Auto and Assassin’s Creed, the achievement system, and the leaderboards. Retention reinforces positive feelings and a sense of accomplishment from the Core Loop experience. Without an effective Retention game, users will not see any point to the game and will not receive an sense of accomplishment or progression toward a greater goal, and the Core Loop will seem insignificant and fade out. SUPERFAN: The Superfan gameplay mechanics are catered to those who have developed a significant relationship with the game. They are premium subscriptions, extravagant in-app purchases, add-ons for game’s die-hard fanatics. Many mobile games are designed for casual play and no Superfan game, while other high-budget multiplayer games, like Clash of Clans and Pokemon GO, have very established brands and use Superfan methods to capitalize on their fervent fandom. While having an addictive Core Loop is the most important building block, Retention reinforces positive feelings about the game, instills a sense of progression toward both immediate goals and overarching goals, and ensures users are feeling rewarded by the time they put into gameplay. Core Loop will get them in the door, while Retention will keep them in the house and lubricate their wallet. In the highly competitive market for mobile games, games must engage from the introduction. Games with bland introductions will not retain users. An investing opening cut scene, an aesthetically appealing title screen and awesome music/SFX will pay off when they seduce users from the outset to play on and enter the Core Loop. If a game is too easy or too hard, it won’t be worth the user’s time. It’s important to specify a game’s audience, decide what level of gamer they will be, and make it accessible to them. Tutorials can help introduce game concepts, but when they are too long or restricting, they hurt more than they help. Offering users tips and tricks during loading screens and through push notifications are a clever way of increasing accessibility to new users without infringing on the Core Loop. The STARBUCKS TEST has become common terminology in game developer circles. If the user can’t have a meaningful experience in the time it takes for a barista to make your drink, then the game loop is too long. In mobile games, which are primarily played in the pockets of time where the impatient smartphone owner must wait, it’s vital to have a short Core Loop which the user can complete quickly and come back to throughout the day. While some games, like Flappy Bird, are simple and fun enough to succeed on an arcade level with only high scores, most mobile developers are unable to achieve the same level of competition and must instill a sense of progression in order to retain the user. Whether it’s unlocking new levels or characters or progressing along a game board, the game must congratulate the user frequently in order to reinforce positive feelings about the game. Many games enlist achievement systems in order to give the user tangible goals with rewards outside of the main objectives of the Core Loop. Learn more about retention in the YouTube lecture below by Lovell. At 1:11:00, Lovell explains how prototyping the retention game outside of the Core Loop to see if it still feels effective is a great way of testing how effective retention methods. Ultimately, the two biggest factors which will lead to uninstalls for mobile games are boredom and frustration. The game designer must battle these factors both in the immediacy of the Core Loop and the overarching retention strategies. The Mystic Media Blog is currently engaged in a series of articles examining each of the Bartle types and how to acquire, retain and monetize them according to their desires. Check out last week’s article on Killers. In this, our concluding article, we will explore Socializers. Socializers are perhaps the most important Bartle type for generating growth in a userbase. The Internet makes it easier than ever for players to share their experience with other users. Socializers aim to form connections through interactions with other players. Like the Explorer, they are focused on the internal qualities of the world and its inhabitants, while Achievers and Killers treat other users and the world as external objects. In multiplayer games, Socializers enhance the gaming experience for all of the Bartle types. Achievers see any addition to the userbase as competition, an elevation of the stakes, enriching their accomplishments. Killers see them as easy prey. Explorers see them as eager to communicate, join and help them on their quests. Socializers see other Socializers as people with whom they can socialize. Thus, Socializers appease all Bartle types and can trigger major growth in the ecosystem. When developing games, mobile developers are often hampered with budgetary constraints which entail a single-player experience. Some turn-based games are able to counter that norm on a relatively small budget. However, in single-player games, the importance of social integration is absolutely vital in the current app landscape. In a world where Yelp rules and people are bombarded with an inordinate amount of daily advertising, many consumers rely on references from friends, family and trusted content curators to decide what they should pursue. Not only having a social presence, but giving players the opportunity to share in a variety of methods is a tactic which will enrich retainment on not only Socializers, but all of your userbase. Profile creation satisfies both the Socializers desire to create a persona and connect with other users, while offering opportunities to entice Achievers with an opportunity to share their achievements. Offering a variety of methods of communication is key to retaining Socializers. A “Social Prod” represents the lowest form of communication, such as the “Poke” button on Facebook, in which one user offers another user the minimum acknowledgement. A “Brag Button” which allows you to easily shares your score and/or a video of your game to social networks is another method of communication which makes social sharing easy and entices the Achiever to share. Creating a chat interface will encourage users to communicate with one another and allow them to share in-game secrets. A chat interface can function as a social network or discussion board for your users to congregate. When properly designed, chat interfaces can even help solve some of your customer service problems. Users feel more of a connection to other users, so setting up a kind of mentor system in your game where experienced players are rewarded for helping out newbies can go a long way in enhancing the intimacy of the experience while saving game developers money on maintaining Customer Service. The presence of both a user’s outside friends playing the game and a community of friends existing within the game validates the game’s role in the user’s life and increases the sense of intimacy in the same way inside jokes with friends do. Social Treasures are game items which a user can only get from another player. Candy Crush limits daily play, but lets players give their friends lives which enable them to play for longer as social treasure. Strategies like Social Treasure create a courtesy economy which encourages users to get their friends to play. Rewarded Social Sharing gives users in-game currency or bonus items in exchange for sharing the game or their high score on social media, a method for encouraging sharing while also potentially previewing in-game in-app purchases. Leaderboards factor into a number of single player games as the primary form of social integration, but Leaderboards can be intimidating and useless to new users when experienced players lord over the top ten spots and don’t give up. Offering a micro-leaderboard for in-game or social friends and/or monthly leaderboards will ensure new users are actually encouraged to become competitive through leaderboards and don’t feel left out. When it comes to monetization, Socializers are best used as a tool to grow a userbase and thus enhance competition, increasing advertising and in-app purchases. Each of the above tactics applies to monetization in the sense that social sharing is in itself a currency. Freemium games can offer subscription-based online integration with a monthly fee. Erwin Andreasen and Brandon Downey created the “Bartle Test” without collaboration or input from Richard Bartle. The test classifies users with a “Bartle Quotient.” The Bartle Quotient is calculated based on answers to a series of 30 random questions and totals 200% across all categories, with no single category exceeding 100%. 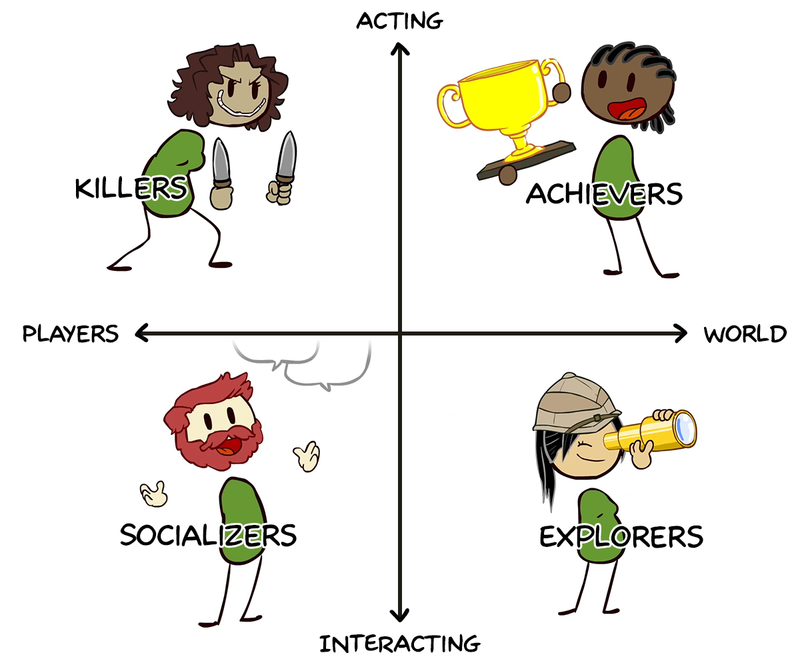 So you can be 100% Socializer, 50% Explorer, 30% Achiever and 20% Killer. In other words, each of the Bartle types represents an urge within the gamer, but no gamer is 100% one of those categories. Everyone has an Achiever, Explorer, Killer and Socializer in them. By isolating each archetype and analyzing their behavior, game designers can ensure they are making fully-formed, well-rounded games with a variety of appeal. And any mobile app developer will tell you the best monetization method is a well-built app. The Mystic Media Blog is currently engaged in a series of articles examining each of the Bartle types and how to acquire, retain and monetize them according to their desires. Check out last week’s article on Explorers. The Killer is the wild card of the Bartle Types. While both Achievers and Killers are competitive, Achievers compete with/through the game, whereas Killers compete with anyone or anything in their immediate vicinity. The Achiever wants to act upon the game according to the rules of gameplay, while the Killer just wants an immediate thrill. They derive pleasure from interfering with the functioning of the gameplay and/or the experience of other players. Like Internet “trolls”, Killers gleefully enact subversive behavior under the guise of their game persona. They aren’t interested in winning, socializing or exploring – they just want to provoke and impose themselves on the virtual world and its inhabitants. Killers thrive on the experience of disrupting gameplay. Achievers represent the ultimate target since they are most antagonized by being killed. As a result, in multiplayer games, the more Achievers you have, the more Killers you’ll have, which may lead to a decrease in Achievers and overflow of Killers depending on the level of engagement of the gameplay. Explorers also represent easy prey for Killers, and if there are too many high level Killers, it may become hard for Explorers to explore. Socializers also make an appealing target for Killers in multiplayer games. Like Socializers, Killers are interested in interaction and influence. Some of the same retention tactics apply to both Bartle Types. The best way to retain Killers is to give them opportunities to disrupt other players or the world of the game. In MMORPGs and shooters, it’s easy for them to find other players to kill. The challenge in single player games (especially single player mobile games) is how to appeal to a Bartle type that thrives on interaction. For one, Killers aren’t just into killing. Interfering with elements of the world will also appeal to them. For instance, if there are elements of the game world, such as crates or trees, which the user can crash into and destroy, it offers the same immediate thrill of interference as player elimination. Games get creative to offer opportunities for world interaction. In The Legend of Zelda, beyond combat with enemies, Link can also famously antogonize “cuccos”, an element of the world. In Grand Theft Auto V, the ultimate game/franchise for Killers, users can not only kill civilians, but can bump into them for a humorous disruption. Offering cheat codes in single player games represents an opportunity for the Killer to expose and modify the game engine on the game developer’s terms. Pokemon GO employs battles in Pokegyms. Games like Candy Crush give Killers the thrill of destroying parts of the world. Killers love explosions. Giving them a tangible goal, like specific collectibles or targets that generate explosive reactions, will go a long way in retaining their interest. In order for a Killer to spend money on a game, they must be engaged by the gameplay. Killers are looking for a specific type of satisfaction, a kind of schadenfreude. Retention methods are key since if a Killer doesn’t get satisfaction, they’ll move on quickly to something more immediate. 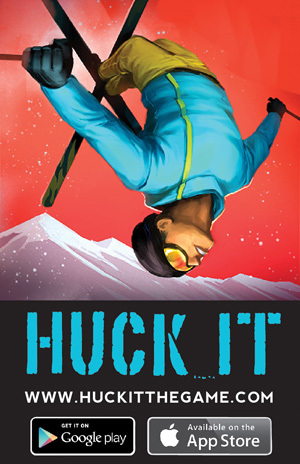 Offering alternate game modes, such as low-gravity or disco mode, may entice Killers’ desire to subvert the game world. In multi-player games, extra weapons, stealth and any advantage in the killing department may tempt Killers to purchase if they are invested in the game. As with appealing to any Bartle Type, everything begins with engaging gameplay. Thinking of these player types during the process of development will enrich your techniques and ultimately your final product. Next week, in the final article of our series on Bartle Types, we’ll take a look at Socializers and the best methods for attaining, retaining and monetizing them. The Mystic Media Blog is currently engaged in a series of articles examining each of the Bartle types and how to acquire, retain and monetize them according to their desires. Check out last week’s article on Achievers. The Explorer is one of the most important Bartle types to maintain in a userbase. Explorers are out for the thrill of discovery. They want to test the limits of the game and see as much of the world of the game as possible. Explorers will wander the world to find secrets. If given a level map, they will utilize it to view as much of the world as possible. They enjoy trying out different weapons and characters. For Explorers, the gameplay is simply a mechanism for discovering different worlds and abilities. They are obsessed with Easter eggs and exposing game methods to find hidden areas. They love analyzing gameplay systems and motion systems, and executing plans designed to see if they can outsmart the designer and find parts of the map which the designers hadn’t expected users to find. The savvy game designer will know his game inside out and give Explorers props when they reach rare areas of the level. Explorers’ role in the Bartle Type ecosystem is very important. They make for easy prey for Killers, but also, the secrets which they discover generally trickle down into Achievers, much to the benefit of Achievers who will go on to use these secrets to better their status. Retaining Explorers depends on the size of the world, but even a simple 2D scroller can have several lo-fi backgrounds which will prove incentives for explorers to see all the different backgrounds. A game board is a major opportunity to show off your world and offer explorers a tangible visual for the amount of work it will take to fully see the world. Explorers love to play as different characters and with different gear to see how the game experience changes. If you really want to appeal to this archetype, creating parts of a map only accessible with certain gear or characters will drive them wild. The beauty of thinking about Explorers as an audience is that it will force the game designer to enrich their game. Making different levels available for purchase can drive Explorers to reach for their wallet. The savvy game designer may create an area which is only reachable when the user has made an in-app purchase of new gear or a tune-up. The Explorer wants to have the most full understanding of the game, so having unlockable and purchasable characters with different music and sound effects can entice the Explorer to buy. But perhaps the best way to monetize an Explorer is not by forcing them to buy, but by sectioning their gameplay off with rewarded ads. Rewarded ads give the user a certain amount of in-app points or game money which can go toward an in-app purchase. Explorers are willing to spend hours exploring a map without a tangible goal – thus, rewarded video ads are a great way of rewarding their inquisitive behavior while offering a preview of some of the goods available for purchase. A properly edited trailer will preview the game world in a way that leaves enough to the imagination of the user that it instills the desire to explore, regardless of whether they are Explorers or not. Next week, we’ll take a look at Killers and the best methods for attaining, retaining and monetizing them. Last week, the Mystic Media Blog covered Richard Bartle’s taxonomy of player types. Over the next four articles, the blog will be conducting an in-depth exploration of each of Bartle’s four player types and how to attract, reward and ultimately monetize them. The Achiever is the most basic player type. They seek to conquer the obstacles set up by the game. They look to act upon the world within its limitations. Achievers are generally the most important Bartle Type to maintain in your core userbase since they seek to play the game by the rules, as it was intended. Nicknamed “Diamonds” by Bartle, Achievers are interested in rewards, recognition and glory. They won’t settle for beating the game and will attempt to attain high scores in the leaderboard. If there is more than one difficulty, then they must learn to master it. In short, they look to attain any and every badge of honor they can. The Achiever plays by the rules with the aim of progress. In order to entice them on a most basic level, they need to be engaged by gameplay from the outset. Games which are too difficult will discourage them from playing on, while games which are too easy will not be worth the time. As they navigate through the game, giving Achievers finite goals and recognition for achieving these milestones will keep them engaged. They don’t just want to achieve, they want to be acknowledged for their achievements. A solid reward system with a steady stream of achievement-based unlockables and trophies will retain Achievers. As a game designer, using sound and visuals to create a positive emotional reaction upon in-game achievements should be among your top UI concerns. Game designers can monetize Achievers in a number of ways. Offering new game modes or difficulties through in-app purchases offers a tempting proposal to the Achiever, who will likely go ahead, buy and conquer if they are into the game. Having a difficult game with high level unlockables also available for in-app purchase can entice some Achievers to taking a shortcut. Offering an ad-less option is another enticing low-price option for the impatient achiever. Achievers want their victories to become a part of their identity. They want to be known as winners and are looking to the game for fulfillment, so an alternate avatar for players who conquer the game is enough to retain them. Offering customizable avatars for in-app purchase is a simple way of appealing to all gamers’ desire to make their character their own. Candy Crush monetizes Achievers by limiting the amount of time they can play per day without paying, enticing many daily players to extend their time for a cheap price. MMORPGs and warfare games capitalize on Achievers with special weapons and characters available for in-app purchases. Games with a social component make it easier to capitalize on Achievers since they are a sucker for status. The social component adds a major competitive edge which will cause some Achievers to jump at the opportunity to gain an advantage. The difficulty in monetizing Achievers lies in offering a fair game experience with in-app purchases. Purchasing a competitive edge can dilute the amount of new users in a game. Achievers want their achievements to be sacred, so while offering purchasables is important, it shouldn’t make the game a landslide for those who invest. Some glories should be unlockable purely through game progression, rather than for purchase. Another way of regulating is to set a limit on in-app purchases. If you only have $5 to work with, it creates an element of strategy for Achievers which makes both the game and the purchase appealing. Finding a balance between enriching gameplay with in-app purchases and maintaining a fair and engaging game on a free level is the difficulty of the Freemium model. Next week, we’ll take a look at Explorers and the best methods for attaining, retaining and monetizing them.